The error ERR_NETWORK_ACCESS_DENIED is a Google Chrome Error and it indicates that the website you are trying to access cannot be accessed because it has been denied. In General, this issue usually comes up when a software, or an app blocks the connection. Give yourself a quick recall now; and think of the apps you are running which may be blocking the site. This can also happen as a result of your antivirus software or a firewall blocking the site. To fix the issue; follow these steps. Try opening sites in a different browser such as Internet Explorer/Firefox. If they opens up fine; then check if Google Chrome is being blocked by a firewall, make sure it is added to allow list and exceptions in the firewall table. If you don’t know how to do this; then reset your firewall, in Norton this is done from the Settings -> Firewall’s tab where you get the option to reset to defaults OR you can simply uninstall Norton or any other anti-virus application/firewall and re-install it later. This will automatically reset the settings. If you are running PeerBlock, then disable that as well. If the sites were opening in internet explorer/firefox, then you do not have to check the router because we have the Internet connection; move to Method 3. If the sites were not opening, then restart your router and your computer. Click OK. This will open Windows Explorer with a bunch of folders, right click the default folder and select rename, rename this folder to default.old. 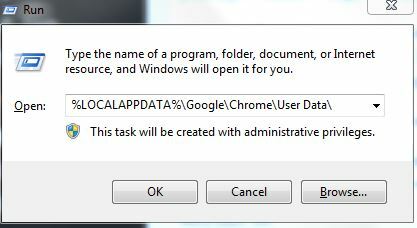 If it tells you that Chrome is already in use, then save these steps, reboot your computer and without attempting to open Chrome perform these steps.